I hit the jackpot with seafood last Saturday. After a completely unsuccessful dress shopping trip to Oxford Street, braving rain and wind and hideous crowds, my friend Gwynedd and I decided to stop at Borough Market near London Bridge for a drink and some nibbles before heading back home. This is by far my favorite market in London- in fact, it's one of my favorite places in London, period. I love to wake up early on a Saturday morning, shuffle down to London Bridge half asleep, then spend the morning eating a roving brunch from the market stalls of comte cheese samples, and raw oysters sold one by one, and rare breed bacon sandwiches. It's a wonderful thing. By the time Gwyn and I got there, the market itself was already shutting down for the day, but it didn't matter because we were making a beeline for the excellent Brindisa Tapas, which is right next to the market and is connected to the same company's shop which sells Spanish cured meats and other specialties. As we worked our way through the disbanded stalls, trying to avoid getting run over by vendors who were clearly ready to stop work for the day, we passed a seafood stall that hadn't completely broken down yet. 'Everything 50% off!' the fishmongers were shouting. And bizarrely, no one within earshot seemed to care. In the spirit of economizing, I immediately made my interest clear to the guys behind the counter, and within seconds they talked me into taking ALL of their remaining fresh sardines and hand-dived scallops away with me. It was easily £50-worth of seafood, which they gave us for £20. Gwyn and I split the cost and the loot, and still had enough each to entertain about 8 people for the evening. I turned to the Moro Cookbook for ideas, and adapted this recipe from theirs for grilled sardines. Mix all of the sauce ingredients together. Season the raw sardines with salt and pepper and then fry in shallow oil for 2-3 minutes on each side. 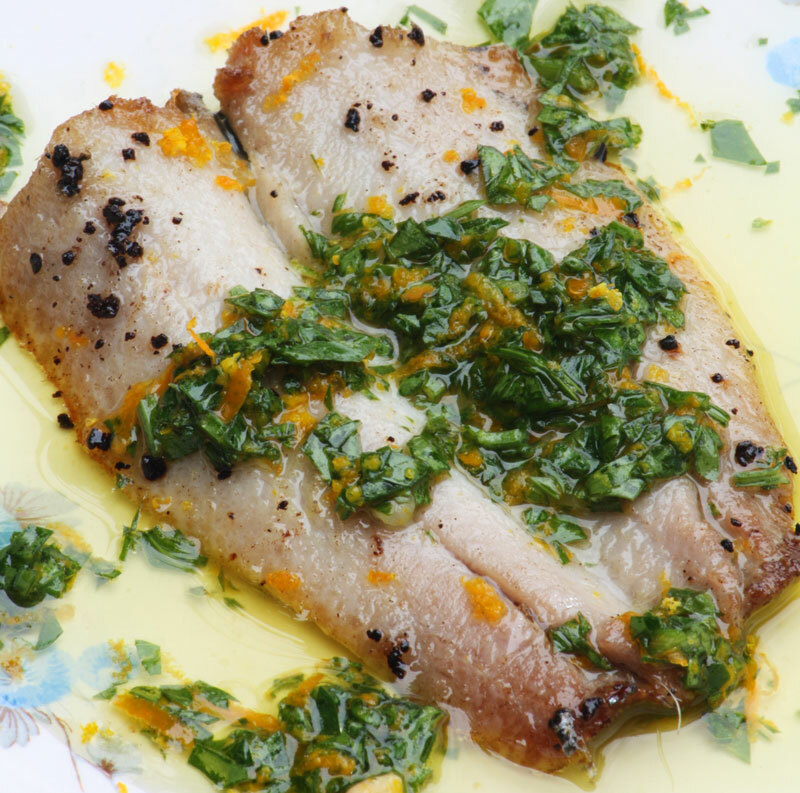 Be sure to get your pan really hot before you add the fish, or they will stick to the bottom. 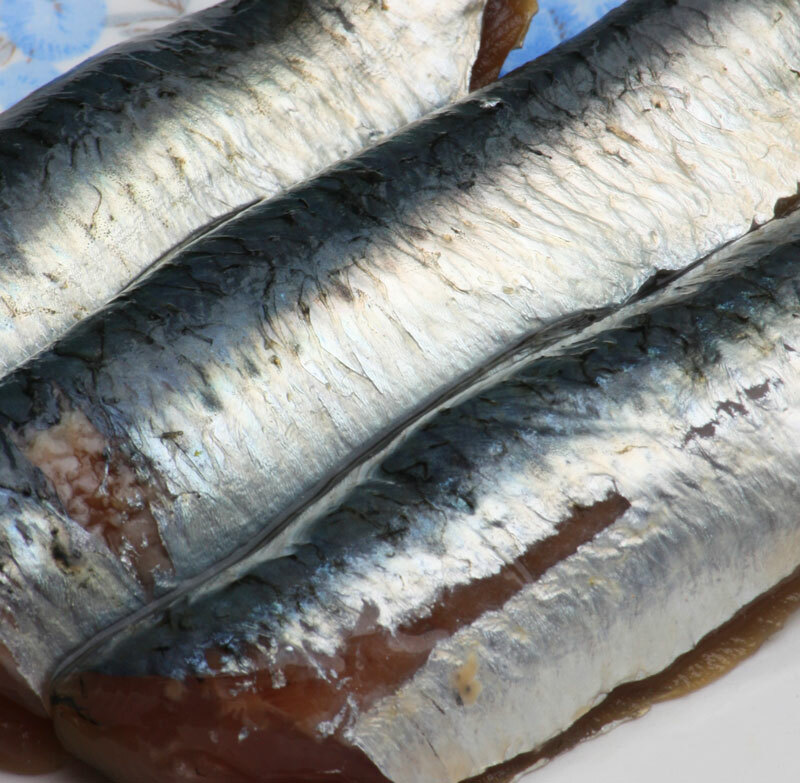 Drizzle the sauce over the sardines and serve. Easy! And next time...I'll tell you about the scallops! Don't think I've ever had fresh sardines, but it certainly looks mouthwatering! Hi Marisa,if you ever come across fresh ones you should try them! They're really delicious and you can treat them like mackerel or any other oily fish- they pair up well with really strong flavors like lemon and garlic.